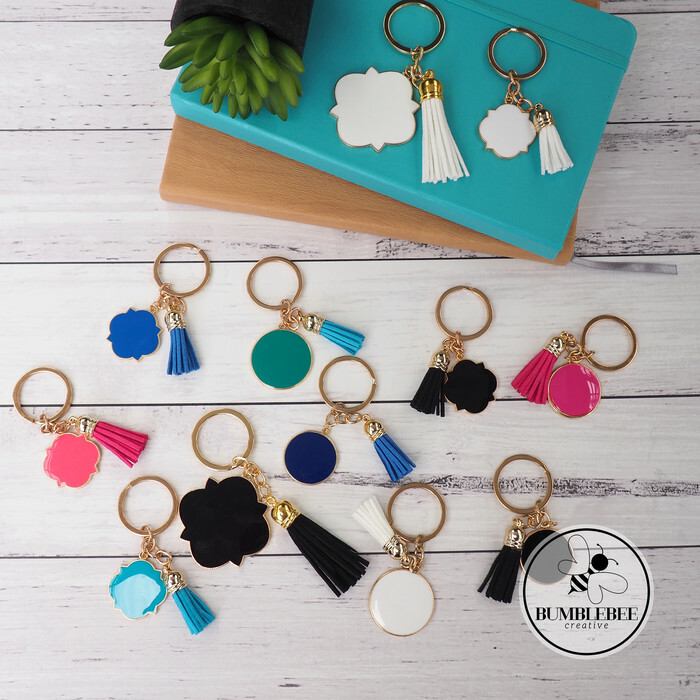 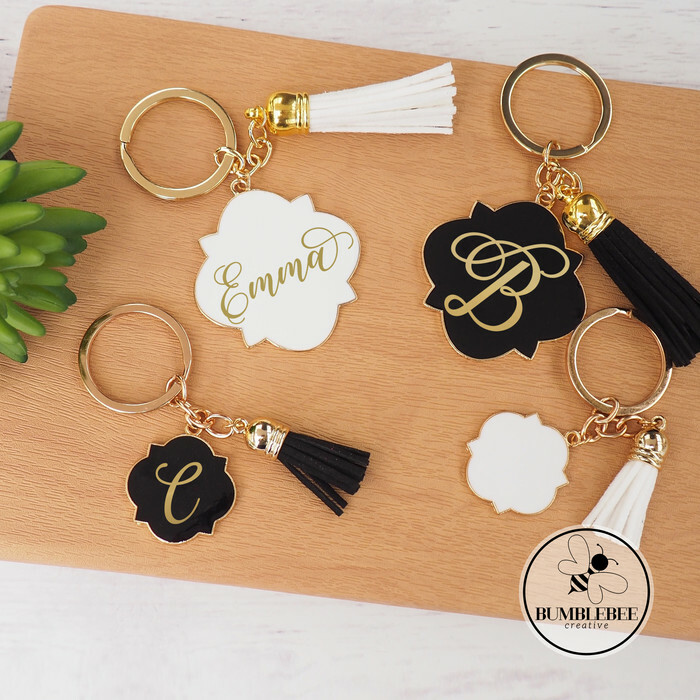 This beautiful Gold & Black Enamel keyring comes adorned with a matching tassel. 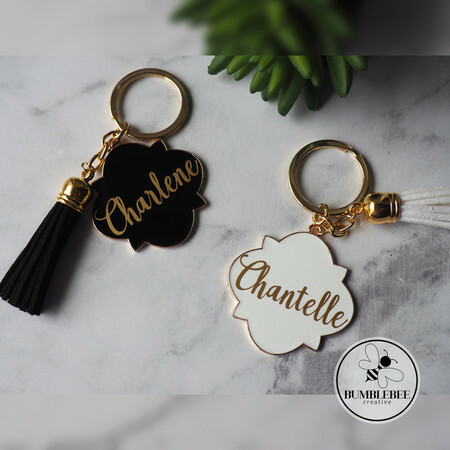 Personalised with gold vinyl it makes an ideal Mother's Day present or gift for a loved one. 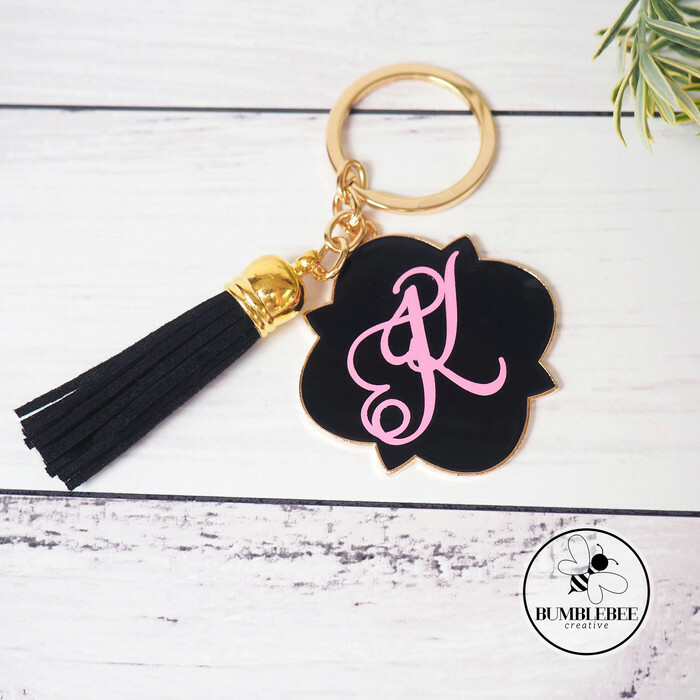 * Name, First Initial or Monogram. 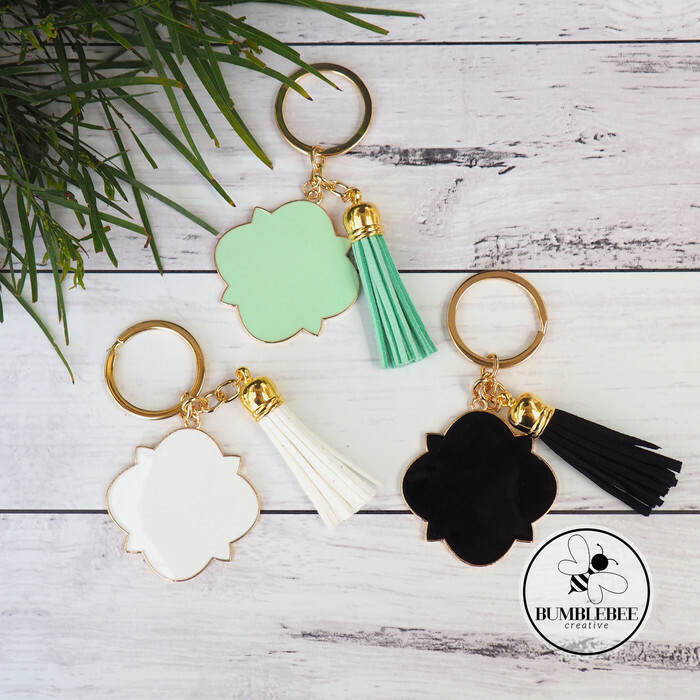 Also available in White & Mint.